The newly developed dyeing machine "iCone" treats yarns, fibres, flakes, cables, ropes and belts. The new technique enables dyeing in short fleet. Obtaining uniform dyes and the required fastness is self-evident. Due to the new energy-efficient (ee) functions the “iCone” is able to colour in a more cost effective and environmentally friendly way. In the Thies product portfolio one can find the corresponding presses and dryers. The treatment of threads, the dyeing and bleaching of yarns for the production of solar sails, tents, awnings and the finishing of hard-retardant yarns. The Thies HT-Jigger is used for dyeing fabrics, nonwovens or space fabrics in open width form. The HT-Jigger offers stepless tension and material speed control with an economical dye trough. 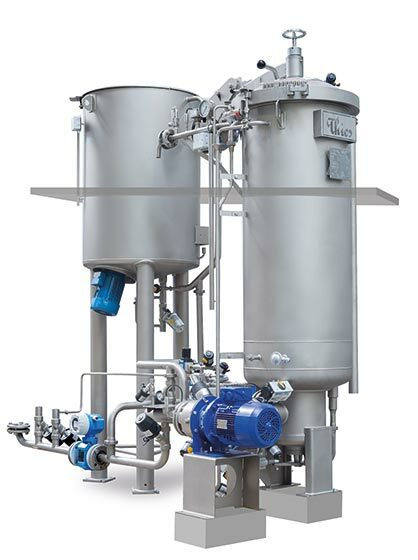 It has been designed to offer uniform dyeing in short liquor ratios. Key applications are the automotive sector with, for example, treatments of vehicle interiors or industrial sectors, which use filter materials. For applications where water consumption is an important consideration, together with other possible energy savings including steam, electricity plus chemicals and dyestuffs, the well- established iMaster H?0 dyeing machine is already proving successful with several automotive fabric producers. The notable process times of the iMaster H?O dyeing machines facilitate higher production capacities. To gain energy out of hot industrial waste water is the aim of Thies’ heat recovery systems. Special tubular heat exchanger allow high efficiencies and low payback periods. Various modern types can be connected to these systems. The Thies team of technical textiles dyeing specialists will be on hand throughout the exhibition to offer in-depth expertise and guidance.